If last night's Super Bowl XLVII TV spot for Fast & Furious 6 got your engines revving, then check out what we have in store for you today. 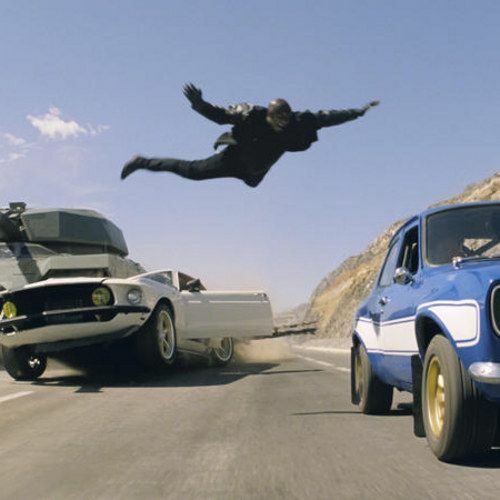 Universal Pictures has debuted a new photo featuring MovieWeb favorite Tyrese Gibson flying through the air, leaping from one moving car to another, while a gigantic tank crushes his ride. Look, it's a bird! It's a plane! It's Tyrese Gibson!